It’s snowing!!!! Big beautiful fluffy flakes, look look!!! We live in Michigan, so there is a certain amount of snow expected. However, for the past three winters we haven’t even gotten enough to build a snowman in Wayne County. We plan on heading to some snow hills this winter but my child is ever-increasingly interested in playing in the snow (I can’t blame him). Make your own snow! 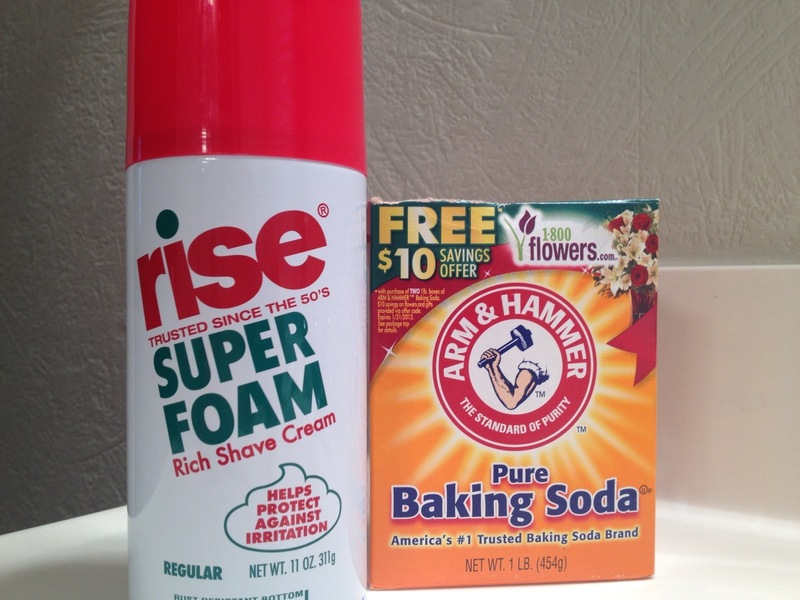 Just mix equal parts baking soda with shaving cream. I added a few drops of peppermint essential oil and blue food coloring. Voila! 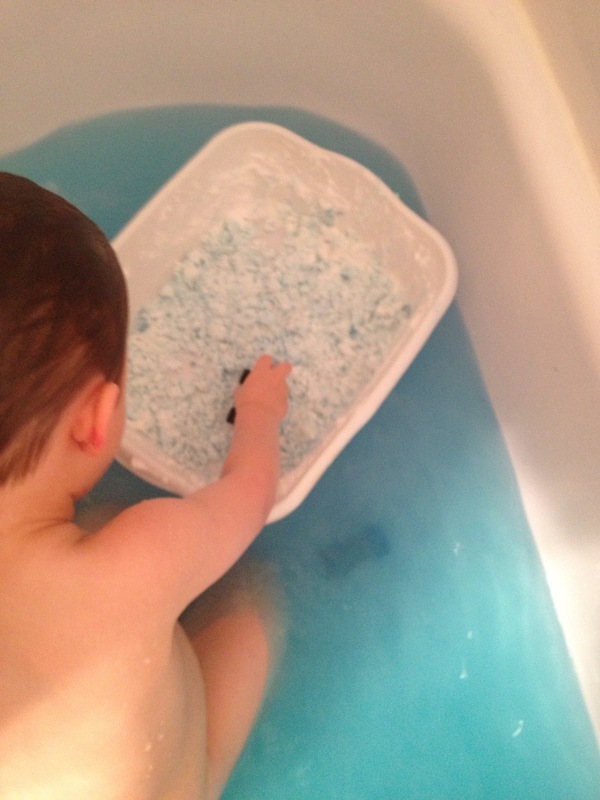 It was bath time so I let B mix and explore while in an “arctic adventure” bath. The mixture is surprisingly cool and when mixed fully it really does feel like snow! We will definitely be exploring this again. Next time I plan to do it in the kitchen sink and then add a few glugs of vinegar to get an “exploding” action. Simple, easy, fun and really cool, my kind of activity! What activities have you been doing with your little ones this winter?